Restaurant description: A casual dining Chinese Restaurant in Chatswood serving Yum Cha everyday and a la carte Chinese menu in the evenings. The best Yum Cha on the Northshore. 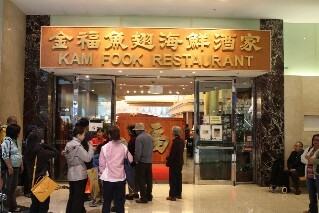 I've been to Kam Fook plenty of times and always good value and yummy yum cha. Make sure you make a booking as it gets real busy early. There is always a queue out the front of the restaurant. Have you dined at Kam Fook Chinese Restaurant Chatswood?